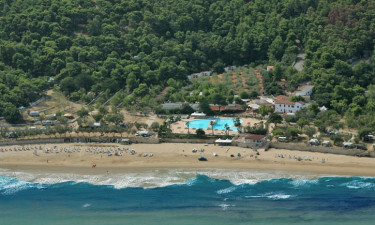 Internazionale Manacore is a luxury camping site that looks out on the bay of Manacore. It offers everything the luxury camping enthusiast needs, from sandy beaches and sports centres to perfect pools and high-class dining. Inquire today about Internazionale Manacore and see what wonders it holds. 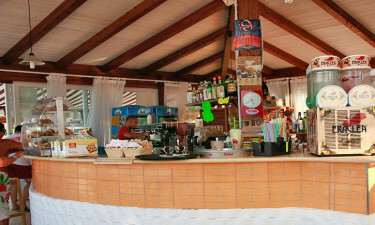 Why should you choose Internazionale Manacore for your camping holiday? If you're looking to LUX-camp and have some fun in the evenings, Internazionale Manacore has you covered. With a wide selection of family-friendly and more mature establishments, there's something here for everyone. With a full complement of bars and restaurants as well as a renowned pizzeria, you don't have to look far to satisfy your appetite. Internazionale Manacore is situated overlooking the bay of Manacore and has stunning views, wherever your mobile home is situated. With lush, sandy, white beaches and nature walks on your doorstep, the surroundings of Internazionale Manacore are the real star and the scenery is truly awe-inspiring. The bay of Manacore is nestled between Peschici and Vieste and is famed throughout Europe for its beautiful location. Internazionale Manacore has everything you'd expect from a word-class, luxury camping destination. It has shops for all your necessities and light eateries to get you through the days. It also has lavish and fun pool areas and a whole range of sporting activities for the whole family. Whether you're looking to relax or get active, this resort has something for you. Ever popular among families, Internazionale Manacore offers a wide range of activities for kids to get into on their own. They have an exciting kids club and a host of sporting options that offer mum and dad the chance to enjoy some down time. Between the location, the onsite activities and the proximity to some of the most incredible landscapes in Europe, you'll struggle to find time to fit it all in. Internazionale Manacore has some great restaurants for early evening dining, as well as some happening hot spots for those up late. With a friendly atmosphere and top-quality cuisine, you'll be able to find some fun here. If you're looking for a few beverages after a hot day by the pool, then you can find that onsite. If you're looking for top-quality cooking then Internazionale Manacore has that too. There's no shortage of necessities at Internazionale Manacore and you don't have to trek into a nearby town to stock up on what you need. The campground offers everything you can desire during your stay and the quality of the produce is superb. If you want to take a night off from the social whirl and cook up a storm in your mobile home, Internazionale Manacore can also cater for that.